x Yorkville and the Upper East Side are well known throughout their respective histories for a mix of Gold Coast Patricians to the west as well as German, Czech, Slovak and Hungarian immigrants to the far-east. However, dispersed throughout both of these areas between opulent Fifth Avenue and the commercial and industrial East River waterfront was a large population of Irish Immigrants and their families through the 19th and early 20th Centuries. This event will shed a light on the lives of Irish Americans on the Upper East Side and other parts of Manhattan through the lens of the history of Archbishop John Hughes, a nearly mythic figure and Irish community leader. Acclaimed biographer and local Upper East Side instructor John Loughery will give a lecture based on his recent book Dagger John: Archbishop John Hughes and the Making of Irish America. “Dagger” John Hughes was an infamous Irish-American figure who — in the face of bias against the Irish community — was an organizer, community advocate, and fiercely outspoken evangelist representing the Irish in America. Between founding Fordham University, a Jesuit Catholic University in the Bronx, and demanding the construction of the now-cherished St. Patrick’s Cathedral in Midtown, Hughes was a revered (and feared) power broker for his community in Manhattan and beyond. Books will be for sale following the talk. Wednesday March 20th 6:30 p.m.
x In a time when New York City was home to the third-largest population of German speakers in the world, Yorkville — and 86th Street in particular — was known for its German immigrant community of artisans, butchers, brewers, and shopkeepers. Join local historian and lifelong Yorkville resident Kathy Jolowicz of the Yorkville/Kleindeutschland Historical Society, as she presents her pictorial exhibit on the history of this neighborhood once known as the Upper East Side’s “Kleindeutschland” or Little Germany. The exhibit is a nostalgic exploration of Yorkville’s history with a particular focus on her personal memories that evoke the village feel of the area’s German heyday with reminiscences of famous restaurants, ethnic shops, dance halls, schools, churches, and a common language. Photography will not be permitted at this event. x Born in 1939 to immigrants from Leipzig, Germany, Kathy Jolowicz was raised and schooled in Yorkville/Kleindeutschland. She is an Upper East Side community leader dedicated to keeping the German heritage alive as a Division Marshall, and PR Committee member of the German American von Steuben Parade, as well as the founder of the German Language Learning Club. Saturday, March 9th 1:00 p.m. In 1904, The Explorers Club was founded as an international, multidisciplinary, professional organization dedicated to the advancement of field research, scientific exploration, and to the ideal that it is vital to preserve the instinct to explore. In the century since, The Explorers Club has played a significant role as the premier meeting place for explorers and scientists worldwide who have pushed the limits of discovery and human endurance. Club Members have attained incredible feats, including our “Famous Firsts” such as First to the North Pole (1909), First to the South Pole (1911), First to the Highest Point on Earth (Mt. Everest, 1953), and First to the Surface of the Moon (1969). Join Archivist and Curator of Research Collections Lacey Flint for a behind-the-scenes tour of the club’s Neo-Jacobean headquarters built originally for art collector Stephen C. Clark and explore its extraordinary collection of books, manuscripts and rare artifacts. Calling all Yorkville fans! Did you miss FRIENDS of the Upper East Side’s launch party for our new book Shaped by Immigrants: A History of Yorkville? Dynamic and Educational, Shaped by Immigrants is a fully illustrated history of the physical development and immigrant roots of this quintessential New York City neighborhood. This original publication, researched and written by FRIENDS, uncovers the compelling story of Yorkville’s past as a home to Czechoslovakian, German, Hugarian, Irish and other immigrant groups, and places that history against the backdrop of representative buildings remaining today where immigrants lived, worked, shopped, and prayed. Join Rachel Levy and Sara Kamillatos from FRIENDS of the Upper East Side Historic Districts for an early-evening book talk and screening of our companion mini-documentary, both of which explore the heritage of this neighborhood and its beloved buildings. Books will be available to purchase for $30, with a special discount for current members of FRIENDS. Co-sponsored by Friends of the Upper East Side Historic Districts and the NYPL Webster Library Branch. Tuesday, February 5th 5:30 p.m.
Free and open to the public. Advance registration is required. Free for current members of FRIENDS of the Upper East Side.Advance registration is required. On November 7th, FRIENDS of the Upper East Side is proud to launch Shaped by Immigrants: A History of Yorkville, an illustrated history of Yorkville’s development and its immigrant roots. This original publication, researched and written by FRIENDS of the Upper East Side, uncovers the compelling story of Yorkville’s immigrant past and patterns of development, and places that history against the backdrop of representative buildings remaining today where immigrants lived, worked, shopped, and prayed. These buildings play an integral role in defining Yorkville’s character, but until now the comprehensive story of Yorkville has not been told. x We are thrilled to finally share Shaped by Immigrants: A History of Yorkville with you! Prepare for a night of celebration, discussion, and the screening of an original documentary mini-series produced by FRIENDS of the Upper East Side. Be one of the first to enjoy the finished product for yourself, or as a gift for one of the Yorkville fans in your life. x Books will be for sale for the very first time at the event, and online to follow. Active FRIENDS members will receive a special discount on all book purchases. JOIN or RENEW your membership today! This early evening walk celebrates sites that border Fifth Avenue, both within leafy Central Park and inside the Upper East Side Historic District. Led by architectural historian Matt Postal, we’ll amble east and west, discussing the history of our beloved park and the development of the stately blocks that border it. From Gothic Revival to mid-20th century Modern, we’ll view a varied selection of structures that illustrate and exemplify specific eras and styles, including such notable works as the Arsenal, the Ernesto & Edith Fabbri Mansion, Temple Emanu-el, and the recently-restored 72nd Street Playground. This walk, will follow East Meets West: CPWow!, an accompanying walk hosted by LANDMARK WEST!. At 6:00 p.m. on Thursday, July 12th, join Sean Khorsandi of LW! to take a stroll down Central Park West to learn about its parallel development on the West Side. Click HERE to register for East Meets West: CPWOW! The architecture of the Upper East Side evokes mini mansions and extravagant townhouses along the “Fifth Avenue Gold Coast,” but it is the richly ornamented side street tenements that housed the working and middle class residents of the neighborhood. Join FRIENDS of the Upper East Side and the Lower East Side Jewish Conservancy for a closer look at Yorkville’s not-so-humble tenement architecture with urban historian Barry Feldman. Admire the beautiful botanicals, mythical beasts, garish grotesques and ornate cornices that richly adorn 19th century tenements. Learn more about the anonymous artisans that created these treasures, and what motivated the building developers to employ them. Trace the development of the typical tenement from the mid-19th century to more contemporary housing styles and explore a middle class area which pre-dates the Civil War, and learn how building ornamentation influenced residential architecture in this ever-evolving immigrant enclave. Co-sponsored by Friends of the Upper East Side Historic Districts and The Lower East Side Jewish Conservancy. Registrants will be informed of the starting point upon registration. There is an additional $2 charge for tickets purchased on the day of the tour. Yorkville and East Harlem’s history in the palm of your hand? You bet! FRIENDS has partnered with the Historic Districts Council and Urban Archivein creating “The Hunt,” a mobile app-based scavenger hunt. Create a team of 1-4 people and download the Urban Archive app on your phone, lace up your sneakers, and race around East Harlem and Yorkville to see who can identify the most traces of the past–hidden in plain sight. Prizes will be awarded to the top teams! Roughly two miles of walking. Free to the public, registration required. Curious about our neighbors across the East River-new and old? Join us on Thursday, June 14th for an evening exploring Roosevelt Island! First, Kyle Johnson, AIA will lead a tour of the island’s Modern and Brutalist gems constructed during Roosevelt Island’s transition from an enclave of prisons and welfare services into a middle class residential community. This jaunt down Main Street will culminate in an exclusive tour of Cornell Tech, New York City’s first tech-centered university. Director of Design and Construction Diana Allegretti will lead this walking tour of the newly completed first phase of Cornell Tech’s Skidmore, Owings & Merrill and James Corner Field Operation designed masterplan, which includes buildings by acclaimed firms Morphosis, Weiss/Manfredi, and Handel Architects. Take this opportunity to explore these sustainably designed eco-friendly buildings on the lush green campus in the Upper East Side’s backyard. Meeting location will be provided upon registration. For more than a century, New York City’s most prominent art collectors have made the Upper East Side home. Architectural historian Matt Postal will lead a walking tour of some of the historic district’s finest and most memorable blocks, viewing distinguished early 20th century town houses and apartment buildings where many a masterpiece has hung. Artistic patronage and philanthropy associated with major museums will be discussed, as well as the history of leading commercial art galleries in the area. Highlights include sites related to George Blumenthal, Leo Castelli, Dorothy Norman, Louis Comfort Tiffany, and (possibly) Michelangelo. Meeting location will be provided upon ticket purchase and registration. This walking tour visits some of the Upper East Side’s less examined landmarks, including impressive structures associated with horses, health, and affordable housing. Led by architectural historian Matt Postal, we’ll head east from the area that was originally planned as Hamilton Square to John Jay Park, viewing works by such notable architects as C.P.H. Gilbert, Harde & Short, and Richard Morris Hunt. Buildings intended to serve the common good will be frequently emphasized, as we discuss “model” tenements and related civic institutions, such as public schools, a Carnegie branch library, and a free dispensary built by Mt. Sinai Hospital. Floor area ratio, R8B, and POPS, oh my! Zoning is one of the fundamental factors that shapes the look and feel of our city, but NYC’s zoning resolution weighs in at nearly 4,000 pages – not exactly light reading. Led by urban planner George Janes and longtime advocate Ronda Wist, this walk will translate abstract land use concepts from the page to street, as they uncover zoning and preservation tools in action on the Upper East Side. Presented as part of Jane’s Walk 2018, hosted by the Municipal Art Society. Registrants will be informed of the starting point in the week preceding the tour. Free to the Public, RSVP required. Amidst the Upper East Side’s celebrated array of Beaux Arts, Colonial Revival and other landmarks, can be found important examples of Modern architecture designed by some of America’s most prominent and influential architects of the twentieth century. Discover some of New York’s earliest remaining examples of Modernism designed by William Lescaze, unique townhouses by Edward Durell Stone and Paul Rudolph, an innovative apartment complex by Gordon Bunshaft of SOM, and institutional buildings by Philip Johnson, Edward Larrabee Barnes and Ulrich Franzen. Learn about Marcel Breuer’s icnonic Whitney Museum, now the Met Breuer, and its recent restoration. Guided by John Arbuckle, Assoc. AIA, President of the New York/Tri-State Chapter of DOCOMOMO, an international organization dedicated to preserving Modern architecture, this tour will visit Modern highlights in the East 60s and 70s, in and near the Upper East Side Historic District. Co-sponsored by FRIENDS of the Upper East Side Historic Districts and AIANY Center for Architecture. Authors Kirk Henckels and Anne Walker of Life at the Top: New York’s Most Exceptional Apartment Buildings will take us through the evolution of the luxury Manhattan residence from the Victorian and Beaux Arts townhouses of the late 19th century into the elaborate, service-laden apartment buildings of the 20th and 21st centuries. The rise of the luxury apartment building began at the end of the 19th century with the Dakota and Osborne and exploded in the 1920s with such buildings as 960 Fifth, 740 Park Avenue and River House on the Upper East Side. Now, in the 21st century, we have seen a shift in the paradigm of luxury residential living to extremely tall modern towers with an abundance of services and sports facilities, especially in midtown and downtown locations. Join us as chronicle how these luxury apartments evolved over the last 130 years in terms of architecture, interior design, layout and location. FRIENDS members only, Space is limited. Please call (212) 535-2526 to confirm your attendance on the new date. Image: Blueprint for a Landscape (2017) © Sarah Sze, NYCT Second Avenue – 96th Street Station, Commissioned MTA Arts & Design. Photo: Rob Wilson. We are pleased to hold our 35th Annual Meeting & Awards Ceremony at The Cosmopolitan Club. The Regency Revival-style building was designed by architect Thomas Harlan Ellett in 1932 and is a fitting setting to recognize the fine restoration, renovation, and advocacy work on the Upper East Side over the past year. Founded in 1898 by Charles R. Gracie, Gracie specializes in fine interior decoration, including antique furniture and exquisite, handpainted wall paper. Having established a partnership with a Beijing studio in the 1920s, Gracie’s high end wallpapers are painted by hand and produced both in China and by local artisans at their Long Island City studio which specializes in painting murals, producing custom lacquer furniture, and providing museum quality restoration. Gracie’s refined designs have been installed in the White House, several American embassies, and five star hotels worldwide. Join FRIENDS and fourth generation owner Mike Gracie for a peek inside this specialized world in this behind the scenes tour. Hermes Mallea, esteemed architect and FRIENDS Board Member, joins us at the Americas Society for a look at his latest book, Havana Living Today: Cuban Home Style Now. While many Cuban images depict vintage cars and dilapidated buildings, Mallea brings an insider’s view and challenges these preconceived notions, showing us the vibrant, creative, and eclectic domestic interiors that are re-shaping Cuban living. Havana Living Today presents an authentic Cuban style developed in spite of scarcities and isolation, asserting the homeowners’ personality, reflecting recent reforms that legalize real estate transactions and allow new entrepreneurial activities that are making an impact of Havana’s appearance and economy. Heldat its beautiful building on Park Avenue – the former Percy R. Pyne House designed by McKim, Mead & White – the Americas Society is an organization dedicated to education, debate, and dialogue in the Americas, and seeks to foster an understanding of the contemporary issues and diverse heritage of Latin America, the Caribbean, and Canada. Free to the public, advance registration required. Reception is for FRIENDS and Americas Society* members only. Led by veteran tour guide and architectural historian, Matthew Postal, this walking tour examines the Upper East Side in all its architectural and social variety, from the finest tree-lined blocks adjoining Central Park to First Avenue. After visiting a select group of Beaux Arts mansions and elite clubs, we head east, inspecting somewhat humbler carriage houses once occupied by horses and chauffeurs, modest brownstones built for middle-class residents in the Treadwell Farm Historic District, and ending with the First Avenue Estate, an innovative early 20th century affordable housing complex. En route, we’ll discuss the impact public transit had on specific blocks, as well as recent changes. Join Dana Schulz, senior editor at the blog 6sqft, for a tour of the new Second Avenue Subway. The tour will cover its nearly 100-year history, the architecture and engineering behind the project, and the future of the subway in New York City. It will also explore the impressive $4.5 million public tiled art collection at the four stations, featuring artwork by Chuck Close, Sarah Sze, Vik Muniz, and Jean Shin. Meeting location provided upon registration. Please note that a MetroCard will be required. Click HERE to purchase tickets or to make a contribution. Located on Fifth Avenue and 70th Street, the Richard Morris Hunt Memorial by Daniel Chester French is a refined celebration of painting, sculpture and architecture. Seen on the cover, this setting is an apt embodiment of the recipient of FRIENDS’ 2017 Ambassador to the Upper East Side Award, Ann Pyne, whose love for art and beauty motivates her work. Decorator of many Upper East Side homes, mentor to young, talented designers, and preservationist in heart, soul and action… This, in a nutshell, describes the recipient of FRIENDS’ 2017 Ambassador to the Upper East Side Award, Ann Pyne. In fact, her photo on the cover, set on Fifth Avenue at the Richard Morris Hunt Memorial by Daniel Chester French, with its celebration of painting, sculpture and architecture, encapsulates Ann’s love of art and beauty. Since 2002, Ann has been a Partner of McMillen Inc. Interior Design and Decoration, the oldest design firm in America, founded in 1924 by Eleanor McMillen Brown. Ann’s mother, the legendary designer Betty Sherrill, began at McMillen two weeks after Ann was born and worked there for 62 years. Ann has been the firm’s President since 2012. Under her leadership, McMillen continues to be celebrated internationally for combining old school decorating with modern relevance. A dedicated preservationist, Ann is committed to the safeguarding of the architecture of the Upper East Side. She has also been spurred to activism in the Village of Southampton where her efforts have sought to protect the historic character of the community and curb the spread of overdevelopment. Ann has a Masters degree in Decorative Arts from the Bard Graduate Center, as well as an MFA in Writing and an MA in English and American Literature, both from Columbia University. Prior to interior design, Ann taught literature at the Chapin School, authored a book of short stories published by Alfred Knopf, and has been a longtime collector of aesthetic-period furniture and ceramics. New York’s 51 City Council seats are up for election this year with party primaries on September 12th and the general election on November 7th. On Wednesday, August 30th, meet the candidates running for the open seat in District 4, currently represented by Dan Garodnick, who has reached his term limit. Hear the candidates discuss historic preservation, the threat of overdevelopment, and the land issues you care about. Learn how they plan to preserve the quality of life and character of our neighborhoods. This event will be moderated by Gina Pollara, Senior Advisor at ReThinkNYC. Get to know the candidates so you can make your voice heard at the primary election on September 12th! To read more about the field of candidates, click HERE for Gotham Gazette‘s coverage. The scale of New York is being drastically changed – not just in Midtown Manhattan, but in neighborhoods throughout the city. The tide of “supertall” towers beginning to rise in residential areas, including those surrounding Central Park, is symptomatic of the unprecedented threats to parks, playgrounds, light, air, landmarks, small businesses, and community quality of life all New Yorkers face. City policies have enabled, and sometimes incentivized, this trend. All are invited to participate in an action-oriented discussion about why so many of these towers are invading our city, and what we can do about it. Tour of the Sixth Street Community Synagogue Center, with Dr. Elissa Sampson. The synagogue, founded in 1940, resides in what was originally the German-American St. Mark’s Church (1848). by genealogist Dr. Richard Haberstroh. by Elizabeth Fagan of FRIENDS of the Upper East Side Historic Districts. An informal reception with light kosher refreshments. During the decades around the turn of the 20th century, waves of German-Americans left their homes in the East Village/Lower East Side’s Kleindeutschland and headed north to Yorkville. This migration started with the construction of the Second Avenue El train in 1874, and accelerated with the terrible General Slocum Steamship disaster on June 15, 1904, when over a thousand people died during an outing sponsored by St. Mark’s Church on East 6th St. Although most German-Americans have since dispersed from both neighborhoods, it’s still possible to see traces of this remarkable culture, such as at the German-American Shooting Society Clubhouse building (1889) on St. Mark’s Place; Ottendorfer Library (1884) on Second Ave. at St. Mark’s Pl. ; St. Joseph’s Church on East 87th St. (1895); and the century-old Heidelberg Restaurant on 2nd Ave. near East 85th St.
Straight from the source of the “definitive guide to New York City’s Art Deco architecture,” veteran tour guide Anthony W. Robins will help uncover the somewhat elusive Art Deco architecture of the Upper East Side. Although the more conservative Upper East Side never attracted as much Art Deco flash as other areas in New York City, nestled amongst the townhouses and stately apartment buildings are fine examples by some of the greatest architects of the period. Robins, who has been leading architectural tours for over 25 years, will point out buildings detailed in his latest book, New York Art Deco: A Guide to Gotham’s Jazz Age Architecture (June 2017, Excelsior Editions). Join us as a “Deco Detective” as we visit an apartment house by Raymond Hood (of Rockefeller Center fame); one of Manhattan’s very few Art Deco townhouses; the elegant Carlyle Hotel; and one of the first Art Deco apartment buildings in New York City. Following the tour will be a book sale and signing. The Upper East Side boasts Modern and Post-Modern designs by some of the most prominent architects of the mid-twentieth century and beyond. From unique rowhouses by Edward Durell Stone, William Lescaze, Philip Johnson, and Paul Rudolph, to such institutions as the Asia Society and the Fifth Avenue Synagogue – the Upper East Side has it all! Come and see how architects have incorporated these fashionable styles into the eclectic mix of architecture in the area. Veteran tour guide, professor, and architectural historian Matthew Postal will show us highlights of some of the best designs in the neighborhood. With the opening of the Second Avenue Subway and the influx of new development on the Upper East Side, zoning and preservation are two critical tools to help guide reasonable growth of our neighborhood. But are you up to speed on the basics? Join FRIENDS, the Municipal Art Society, and urban planning consultants George Janes and Ethel Sheffer for a crash course on these key factors to our city. Learn about the different types of zoning, how the Landmarks Preservation Commission works, and find out what FAR stands for (and how it should be changed) so that you can become an advocate for our neighborhood. Perfect for those involved in local block associations, aspiring community board members, or anyone interested in helping to plan for the future of New York City. This project has been funded in part by a grant from the John E. Streb Fund for New York of the National Trust for Historic Preservation, with additional support from Council Member Ben Kallos. We are pleased to hold our 34th Annual Meeting & Awards Ceremony at The Cosmopolitan Club. The Regency Revival-style building was designed by architect Thomas Harlan Ellett in 1932 and is a fitting setting to recognize the fine restoration, renovation, and advocacy work on the Upper East Side over the past year. Have you ever wanted to learn more about a building in your neighborhood? When it was built, which architect designed it, and who may have lived there? Become a Building History Detective! Researcher Susan De Vries, active in the preservation field for over 20 years, will guide us through ways in which we can learn about the buildings that surround us. Her presentation will show us the various online tools and resources that we can use to uncover a building’s architectural and social history. A handy, neighborhood-specific guide of the sources you can use will be distributed at the end of the lecture. Co-sponsored by the Neighborhood Preservation Center. Want to learn more about our city’s rich history? Come along with FRIENDS for a special, after-hours private tour of the Museum of the City of New York’s upcoming new permanent exhibit, New York at Its Core. Featuring more than 400 objects and state-of-the-art interactive displays, the exhibit will trace the history of New York from a small Dutch village into one of the most prominent cities in the world. Held across three galleries, the exhibit is shaped by four themes that provide a lens for examining the character of the city: money, diversity, density, and creativity. Trace the stores of famous New York personalities such as Alexander Hamilton, Jane Jacobs, Jay-Z and more, while viewing rare objects such as Milton Glaser’s original concept sketch for the “I Heart New York” campaign. Space is limited on this exclusive tour, so be sure to register early! Once home to bucolic farmland, the eastern edge of Yorkville was dotted with clapboard farmhouses and country houses, and later transformed into an industrial hub of factories by the turn of the 20th century. As immigrants settled in Yorkville, tenement buildings were constructed, and by the 1930s the area around East End Avenue was home to luxury apartments designed by elite architects. Join the Historic Districts Council and FRIENDS as we track this fascinating history of housing in eastern Yorkville with architectural historian and famed tour guide, Francis Morrone. Highlights will include East End Avenue, Gracie Square, and Carl Schurz Park, model tenements such as the Cherokee Apartments, the idyllic rowhouses at Henderson Place, and everything in between, including the biggest white brick high-rise in the universe! Meeting location provided upon registration. Come for a drink as we talk about high society with author Esther Crain of The Gilded Age in New York, 1870-1910. A transformative time in New York City’s history, the Gilded Age is known as a period of growth, wealth, skyscrapers, lavish parties, and rapid social change. The Upper East Side boasts some of the most spectacular mansions of the period, built by millionaires along the “Gold Coast” of Fifth Avenue. While names like Astor, Vanderbilt, Frick, and Carnegie left their mark along Millionaire’s Row, hundreds of thousands of immigrants crowded into tenements in Yorkville, the “other” half of the Upper East Side. Esther Crain, who writes the popular Ephemeral New York blog, illustrates this period of great extremes through the use of historic photography, personal diaries, newspapers, and more in her new book. Join FRIENDS and the author for drinks, discussion, and a look at Gilded Age life. Jazz music by legendary guitarist Gene Bertoncini to follow. Raised in a historic house on Beacon Hill, Kelley Anderson is both an erudite embodiment of the best qualities of the Upper East Side, and a tenacious street fighter for its landmarks and historic districts. Kelley began his professional life on Wall Street, but in the middle of a successful career, realized his true calling in the art world. For 25 years, Kelley was a director at the Coe Kerr Gallery, one of the premier dealers of American art. Founded in partnership with the collector Frederick Woolworth, the Coe Kerr Gallery exhibited such renowned artists as Andrew Wyeth, Mary Cassatt, John Singer Sargent, and Andy Warhol. In 1989 Kelley founded The Art Show, the first art fair of its kind in New York City. Presented by the Art Dealers Association of America, the show drew more than 12,000 visitors, including top collectors, to the Park Avenue Armory, and raised thousands for the Henry Street Settlement. The Art Show continues to this day, setting the standards of excellence with museum-quality exhibitions. As a member of FRIENDS board for over two decades, serving as Treasurer since 1996, Kelley has contributed enormously to protecting this community’s historic character and quality of life. Kelley has also been a vital member of the leadership team of the Knickerbocker Club since 2003, including three years as its President, and has been a loyal supporter of the Museum of the City of New York, the Municipal Art Society, and the Central Park Conservancy. Our Neighborhood Oral History Project. Interview your neighbors, family or friends! 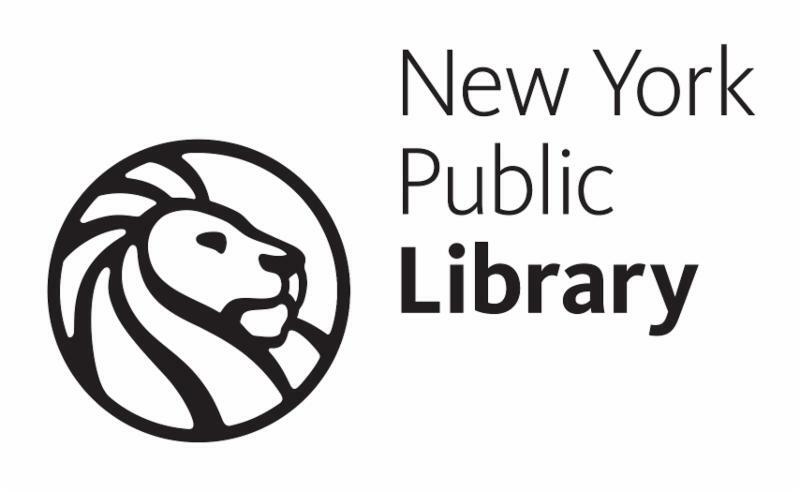 FRIENDS is continuing our partnership with the NYPL after our “Yorkville: A Celebration of Home” event, held at Bohemian National Hall on April 30th. At the event, an oral history panel comprised of longtime Yorkville residents reminisced about their experiences growing up in the neighborhood. The oral history panel was recorded by the NYPL, and will be posted in their online collection. This is a neighborhood oral history project that works to both preserve, document, and celebrate Upper East Side neighborhood history through the stories of people who have experienced it. This project will collect oral histories of people who have lived or worked in the Upper East Side neighborhood. Community volunteers are being trained to conduct these interviews. Interviews will be preserved at The Milstein Division of US History, Local History and Genealogy and accessible at the New York Public Library website: oralhistory.nypl.org. Sign up for an interviewer training session hosted by FRIENDS to help collect and preserve our neighborhood history. One of the earliest immigrant families from Europe, the Rhinelander family immigrated to New York in the late 17th century to escape religious persecution. They prospered in their new country, becoming one of New York City’s most prominent families, and left a rich architectural legacy in Yorkville. Our walking tour will focus on the remarkable residential structures and philanthropic institutions that the Rhinelanders commissioned in the 1880s and 1890s to benefit these new immigrant groups. The tour will begin in the Hardenbergh/Rhinelander Historic District and conclude at the Church of the Holy Trinity, a “verdant treasure [that includes] one of New York’s greatest bell towers” (AIA Guide) and was built in 1897. Until the 1940s, a portion of Yorkville’s First Avenue was known as “Little Bohemia.” The heart of the area was home to Bohemian, Moravian, and Slovak immigrants who settled on the Upper East Side in the late 19th century. Join Joe Svehlak, tour guide and Czech-American, to hear about the Czech and Slovak immigrant experience, and see important remnants of this once vibrant community, including St. John Nepomucene Church, Jan Hus Presbyterian Church, Bohemian National Hall, and the gymnastic society’s Sokol Hall. Join Franklin Vagnone, Principal of Twisted Preservation: Cultural Consulting and co-author with University of North Carolina Architecture & Urban Design professor Deborah Ryan as they discuss their renegade tactics that have yielded a sold-out book (in its third printing, and chosen as the #1 museum-education related book in 2015 by the Museum Educator Monitor!) and become a manifesto for touring aficionados. A seminal text on historic house museums, Anarchist’s Guide incites museum professionals to break the rules in order to stem eroding visitorship, engage adjacent communities, & enlist these properties as protagonists for social programs. Their unorthodox methods aim to introduce preservation to new audiences, and save historic houses in the process. Presented in partnership with the New York Landmarks Conservancy and Landmark West! Join Friends of the Upper East Side Historic Districts and the Historic Districts Council as we celebrate Yorkville’s rich history as a melting pot of immigrant cultures. The event will feature a panel exploring the immigrant experience in Yorkville, a lecture on its architectural heritage, and entertainment from the Czechoslovak-American Marionette Theatre! Participants will then be treated to a food tasting of cuisine from some of the neighborhood’s storied establishments, representing an array of ethnic culinary traditions. Thanks to Schaller & Weber, Glaser’s Bake Shop and many others, enjoy everything from bratwurst to pasta and much more! This program is supported, in part, by public funds from the New York City Department of Cultural Affairs in partnership with the City Council and Council Member Benjamin Kallos. Sacred architecture represents some of humanity’s most ambitious collective creativity. Through the centuries, congregations have commissioned the most prominent architects, artisans and builders of the day to construct their houses of worship. Many have been lovingly maintained by generations of congregants – virtual time capsules of art, architecture and history. Join architectural historian David Garrard Lowe for a discussion at St. Jean Baptiste, a monumental limestone church featuring a temple-fronted portico and twin open towers designed by Nicholas Serracino in the Italian Renaissance Style. This lecture is presented in celebration of the 30th anniversary of the New York Landmark Conservancy’s Sacred Sites program. We are pleased to hold our 33rd Annual Meeting & Awards Ceremony at The Cosmopolitan Club. The Regency Revival-style building was designed by architect Thomas Harlan Ellett in 1932 and is a fitting setting to recognize the fine restoration, renovation, and advocacy work on the Upper East Side over the past year. In the late 19th century, Yorkville was home to country’s largest beer production facility, Ehret’s Hell Gate Brewery on East 92nd Street, with neighboring Ruppert Brewery not far behind. The Doelger and Schaefer breweries in the East 50s compounded the area’s status as a center for suds. Today, few traces of this history remain. Join FRIENDS and architectural historian Francis Morrone for a discussion about the city’s old breweries and their cultural context. A tasting of local craft beers will follow the program. Do you and your family know how to “read” architecture? Learn the language of buildings and how you can discover the remnants of Yorkville’s cultural and social history in this interactive walk through the neighborhood with Heidi Carey, Education Coordinator at FRIENDS. Discover how immigrants from Germany, Hungary, Czechoslovakia, and Ireland lived in Yorkville more than a century ago. At the same time, brush up on your history detective skills as you learn to unlock secrets hidden in plain sight! First settled by German immigrants in the late 18th century, Yorkville later became a hub for immigrants of Hungarian, Czech, and Irish descent as well. Subtle clues of this historic fabric remain in the built environment, but traces of Yorkville’s past as an ethnic enclave are most evident in local shops and restaurants. Engage all five senses, most importantly taste, as you sample sweet and savory specialties from Schaller & Weber and Glaser’s Bakeshop, among others, while we visit Old Yorkville on this neighborhood walking tour. Join Andrew S. Dolkart, Director of the Historic Preservation Program at Columbia University, to uncover the rich history of affordable housing on the Upper East Side — from working-class tenements constructed to house Yorkville’s immigrant families, to the innovative, privately-funded model tenements at the City & Suburban Homes. We will also explore the Cherokee Apartments, designed in 1909 for those stricken with tuberculosis (including expansive windows and balconies thought to curtail the spread of disease). Although Yorkville remains among the most reasonably-priced neighborhoods of Manhattan, our affordable housing legacy is at risk with development pressures arising from the new Second Avenue Subway. In light of development pressures stemming from the incoming Second Avenue Subway, the City Planning Commission’s proposed zoning changes, and existing permissible zoning on the avenues, FRIENDS remains steadfast in its pro-active commitment to preserve the character of the Upper East Side. At this event, we will review the findings of a new, detailed neighborhood study, conducted by BFJ Planning and commissioned by FRIENDS, that highlights the parts of our community most at risk. Our discussion will launch an advocacy agenda including specific policy recommendations for the future of our neighborhoods. *In order to accommodate all of our guests, the venue has been changed from the Union Club to the Metropolitan Club. Peter Duchin is America’s preeminent dance-band leader. Since his debut in 1962 at The Maisonette in the St. Regis Hotel in New York City, he and his orchestra have provided the music for many of the nation’s most notable public and private events: White House state dinners and inaugural balls, the openings of museums and arts centers, movie premieres, charity galas, debutante dances, New Year’s Eve parties, and weddings. He has also embarked on a highly successful recording career, with a total of 26 albums. Raised with the example of Averell Harriman, Peter Duchin devotes considerable time and energy to public service. For many years he was Vice-Chairman and is now an Honorary Member of the New York State Council on the Arts. He has served on the boards of Carnegie Hall, Spoleto Festival U.S.A. and the American Ballet Theatre. He is presently on the Board of the Chamber Music Society of Lincoln Center. He is Honorary Chairman of the Board of Glimmerglass Opera of Cooperstown, New York and also serves on the Boards of the Manhattan School of Music, Dreamyard and the Citizens Committee Of New York City. Peter Duchin lives in New York City and is the author of a best selling personal memoir called Ghost of a Chance. Mr. Howard, an author and lawyer, is the Founder and Chair of Common Good, as well as the Chair Emeritus of the Municipal Art Society of New York where he served with Mr. Duchin for many years. Mrs. Howard, an architectural historian, executed the initial survey of the Upper East Side for the nomination to the State and National Register of Historic Places. March with FRIENDS on September 19th! Since 1957, the German-American Steuben Parade has been held in September to commemorate the contributions of German immigrants and their descendants to American society. Join FRIENDS as we march in the parade to celebrate Yorkville’s heritage as a uniquely wunderbar neighborhood. The route starts on Fifth Avenue, turning onto East 86th Street, once known as the “German Boulevard” and originally home to many German shops, konditoreis, biergartens, and dance halls. All are welcome to march! 11:00 a.m.Meet on East 67th Street between Park and Madison Avenues. This year, New York City is celebrating the 50th anniversary of the Landmarks Law and all the benefits it has provided to our city. Our law, and the advocacy community that supports it, has served as a model for municipalities around the country, and indeed around the world. It is in this context that the US State Department invited Peg Breen, president of the New York Landmarks Conservancy, and Tara Kelly, executive director of Friends of the Upper East Side, to the Republic of Georgia to share best practices in cultural heritage preservation and advocacy. Each spent a week last fall lecturing to various audiences from high school students to members Parliament about how to save and celebrate 1,500 years of history in Tbilisi. Join us on May 28th as they recount their experiences “exporting” preservation from New York City to the Caucasus. Architect and executive director of the American Friends of Georgia, Lena Kiladze will introduce a brief chronicle of the city, and conservation consultant Mary Kay Judy will discuss early preservation initiatives in the post-Soviet era. It is sure to be a fascinating program! This program is hosted in partnership with the New York Landmarks Conservancy. Join us on a high-tech urban adventure filled with trivia, fun games, and team challenges. Using interactive technology, this scavenger hunt will send participants on a mission to discover the remnants of Yorkville’s cultural and social history. Groups will engage with local landmarks learning about how late 19th and early 20th century immigrants conducted their lives. After two hours of play on the streets, teams will report back to home base for prizes and a celebratory reception. Many believe New York’s pioneering Landmarks Law was a key factor in the rebirth of the city in the late 20th century. It fostered pride in neighborhoods, ensured that huge swaths of the city remain, and also lead to the creative re-use of countless buildings. The exhibition at the Museum of the City of New York will be accompanied by a series of public programs. Celebrating the 50th anniversary of New York’s landmark legislation, this exhibition at the New York School of Interior Design will feature more than a dozen public spaces that have been designated as interior landmarks. Using both contemporary and archival photography, it will highlight the importance of public interiors as the spaces in which we conduct our daily lives. We are pleased to hold our 32nd Annual Meeting & Awards Ceremony at The Cosmopolitan Club. The Regency Revival-style building was designed by architect Thomas Harlan Ellett in 1932 and is a fitting setting to recognize the fine restoration, renovation, and advocacy work on the Upper East Side over the past year. Following the completion of Central Park, upper Fifth Avenue became New York City’s most desirable address, where prominent families constructed opulent mansions. Within a generation they were quickly replaced with the latest trend — luxury apartment buildings. The Brokaw Mansion met this sad fate and was demolished in February 1965. But all was not lost! Public outcry and scathing press led Mayor Wagner to sign the landmarks legislation into law. In commemoration of the 50th anniversary of the Landmarks Law, join FRIENDS for a program that will bring together vintage film clips and first-hand accounts to explore and celebrate this catalyzing moment in the history of preservation. Thanks to the generosity of the Ukrainian Institute of America, the program will take place at the former Fletcher-Sinclair Mansion, a spectacular contemporary of the Brokaw Mansion, located directly across the street from where it once stood. Peter Samton is a New York City architect and partner at Gruzen Samton. One of the original founders of AGBANY, the Action Group for Better Architecture in New York, Samton became involved with key preservation battles in the 1960s, including those to save Pennsylvania Station and the Brokaw Mansion. Joseph M. Cahalan, PhD, grew up in the Brokaw Mansion. His father was the live-in caretaker and superintendent for the building from roughly 1940 until its demolition in 1965. Dr. Cahalan is now the Chief Executive Officer of Concern Worldwide U.S., an organization dedicated to the reduction of suffering and elimination of extreme poverty. Convened by Anthony C. Wood, author of Preserving New York: Winning the Right to Protect a City’s Landmarks, and Chair of the New York Preservation Archive Project, the program will be followed by a light reception. Produced in partnership with the New York Preservation Archive Project and the Ukrainian Institute of America as part of the NYC Landmarks50 Alliance celebration of the 50th anniversary of the Landmarks Law. We are pleased to welcome interior designer Sandra Nunnerley for a book talk and signing as she presents a new collection of her work, Interiors. Ms. Nunnerley is a talented and prolific interior designer who has worked extensively on the Upper East Side – and Interiors, written by Christine Pittel, is the first chronicle of her career and exquisite work. The elegant volume covers a range of projects showcasing Ms. Nunnerley’s skill in a variety of styles – from the modern home of an art patron to a duplex at the Sherry-Netherland Hotel. Georg Jensen, a new book by renowned entrepreneur and design curator Murray Moss explores the illustrious history of the preeminent luxury silver brand. Founded in 1904 in Copenhagen, Denmark, the well-known silversmith quickly expanded all over the world. The company has had a presence in New York City since the 1920s and their shop on Madison Avenue has become a fixture on the Upper East Side. Mr. Moss will discuss his new book, which provides a privileged look at some of the most stunning products the company has produced to date. Board Member Hermes Mallea joins us again to present his most recent book Escape: The Heyday of Caribbean Glamour. Mr. Mallea takes a nostalgic look at a bygone era of extravagant resorts and lush tropical estates with work by Joseph Urban, Oliver Messel, Paul Rudolph, and other talented architects and designers who created picturesque retreats for their famous clientele. Containing dazzling images of international celebrities like David Bowie and Princess Margaret, the book provides a unique look into their jet-set getaways. Last spring FRIENDS visited Four Freedoms Park at the southern tip of Roosevelt Island, now join us for the northern route! The island’s history is as varied as its many names – Minnehanonck, Varkens Eylandt (Hog Island), Blackwell’s Island, Welfare Island. On this tour we will visit individually-designated landmarks like the Octagon, a former Lunatic Asylum designed by Alexander Jackson Davis in 1839, and Blackwell House, built in 1706 (the sixth oldest house in New York City!). We will also learn about more modern development on Main Street, with a master plan designed by Philip Johnson and John Burgee, including the unusual pneumatic garbage removal system! Ever wonder what’s going on along the Queens waterfront when you look across the East River? Join FRIENDS for an afternoon exploring the Socrates Sculpture Park and find out. Founded in 1986, the four-acre sculpture park sits on a rehabilitated landfill and is New York City’s largest space dedicated to the display of monumental works of art. As part of their Emerging Artist Program, 15 artists have been working all summer in the Socrates outdoor studio to create original public art to go on view this Fall. We will be joined by Socrates staff for a guided tour of this exciting exhibition. A graduate of Pratt Institute, Walter Melvin was one of the first architects in New York City to develop a practice based upon historic preservation. Over the years, Mr. Melvin has skillfully restored such notable New York City landmarks as: Alwyn Court; the Cloisters; the Cosmopolitan Club; the Dorilton; Grace Church; the Jewish Museum; Marymount School; the National Academy Museum and School of Fine Arts; New York Public Library, Fifth Avenue Branch; the Normandy; the Osborne; Park Avenue Christian Church; the Plaza Hotel; the San Remo; the Seventh Regiment Armory; and the Theodore Roosevelt Birthplace. Mr. Melvin has worked extensively in our own neighborhood, successfully completing over 300 projects on the Upper East Side in the last twenty years alone. In fact, in our very first year of incorporation, he won the 1983 Excellence in Conservation Award from FRIENDS for his work on 778 Park Avenue, and we have honored him with eight additional awards since then, most recently in 2013 at our 30th Annual Meeting for the restoration of 998 Fifth Avenue. Mr. Melvin is also a recipient of the prestigious Landmarks Lion Award from the Historic Districts Council, along with ten Lucy G. Moses Awards from the New York Landmarks Conservancy. Mr. Beinecke is a philanthropist and leader of a variety of cultural institutions including the Samuel H. Kress Foundation, the Sterling and Francine Clark Art Institute, and the New York City Ballet. He has recently been named the president of the National Gallery of Art in Washington, DC. This year join FRIENDS of the Upper East Side and our many neighborhood partners in our inaugural raffle! Yellow Gold & Quartz Cocktail Ring from Jack Vartanian. One-Night Stay in a Grand Deluxe Salon King at the Surrey Hotel with Breakfast for Two in Café Boulud and a Sixty-Minute Treatment in Cornelia Spa. Three-Month Equinox Gym Membership Plus a One-Hour Running Assessment at JackRabbit Sports. Private Tour for Two at the Glass House in New Canaan, CT.
Freshwater Pearl Necklace with a Gray Pearl Tassel Pendant from Reinstein / Ross Goldsmith’s Plus Perfume by D.S. & Durga. Sev Remolino Collection Ruby & Gold Ring from L’etoile Royale Plus Perfume by D.S. & Durga. One-Year Dual Membership to the Asia Society, El Museo Del Barrio, The Frick Collection, and Museum of the City of New York. Elaine Turner Clutch and Private In-Store Reception for Fifteen People. Dinner at Orsay and Swifty’s. Three Private Pilates Sessions at the Center for Movement and a Blacky ‘The Mat’ from Lululemon Athletica. One-Year Individual Membership to SPiN NEW YORK with gift basket. Private Tour for Eight at 101 Spring Street – 1870 Cast-Iron Factory, and SoHo Home and Studio of Artist Donald Judd. Additional prizes will be listed before the event! Drawing will take place at Ambassador Award Dinner on September 30, 2014. Winners need not be present. FRIENDS has been working for the last four years to document the cultural resources of Yorkville. We have now embarked the second phase of this project by partnering with students in the Graduate School of Architecture, Planning & Preservation at Columbia University. Led by Ward Dennis (Adjunct Professor and partner at Higgins & Quasebarth), first-year historic preservation students have studied Yorkville for their spring “studio” course – an exercise in developing a comprehensive neighborhood preservation plan. FRIENDS invites members of the community to a presentation of these findings co-hosted by Council Member Benjamin Kallos, followed by a brief reception. The influence of Greece and Rome on the aesthetic imagination of American artists and architects cannot be underestimated. Many of New York City’s most stately and important buildings contain architectural motifs that were inspired by the classical period. Join FRIENDS and the Paideia Institute for a lecture explaining the influence of the Greek and Roman past on New York’s architectural landscape and a guided walking tour of some of these elements on the Upper East Side — one of the city’s richest architectural districts! Tickets for this event are $25 and space is limited. This event is part of the NYC Landmarks50 Alliance multi-year commemoration of the 50th Anniversary of the NYC Landmarks Law. For more information about the anniversary, please see www.nyclandmarks50.org. The Upper East Side maintains an aura of conservative respectability, and perhaps as a result never attracted as much Art Deco flash as other areas in New York City. Nevertheless, tucked among the Beaux-Arts town houses and sedate neo-Georgian apartment buildings, the neighborhood has some remarkable examples by some of the city’s best architects of the period, including an apartment house by Raymond Hood (of Rockefeller Center fame); one of Manhattan’s very few Art Deco town houses, by Henry Allen Jacobs; the elegant Carlyle Hotel; and one of the first Art Deco apartment buildings in New York City. Guiding the group will be author and lecturer Anthony W. Robins, who has been leading tours of the city’s architectural wonders for over 25 years. We are pleased to hold our 31st Annual Meeting & Awards Ceremony at The Frick Collection, the former residence of industrialist and art patron Henry Clay Frick. The original mansion was designed by Thomas Hastings of Carrère & Hastings in 1912-14, and designated a New York City landmark in 1973. Honored by FRIENDS with a Transformation Award in 2012 for the sophisticated, modern intervention at the Portico Gallery, The Frick Collection is a fitting setting to recognize the fine restoration, renovation, and advocacy work on the Upper East Side over the past year. Please join us in celebrating our awardees at this momentous occasion! Doors open at 6:30 p.m., program at 7:00 p.m.
Murals of New York City is the first book to curate over 30 of the most influential and impressive murals found within all five boroughs. From the Victorian sensibilities of the early 1900s to the graffiti-influenced art of Keith Haring, these iconic artistic treasures act as a cultural guide to the city and its citizens over the past century. Author and artist Glenn Palmer-Smith—who restored the murals at Café Carlyle and Bemelmans Bar—will share the lively stories of those who commissioned and created these works of art, as well as those exceptional circumstances by which many have been preserved. public in October 2012. Gina Pollara, former executive director of the Franklin D. Roosevelt Four Freedoms Park, will lead a tour of this monumental new public space, sharing the inside story of how this exceptional project was realized four decades after it was originally conceived. Join FRIENDS in exploring what The New York Times deemed the “new spiritual heart” of our City! New York City is easily-recognized worldwide by its skyscrapers and densely-populated urban environment. Robin Lynn and Francis Morrone in their newly-published Guide to New York City Urban Landscapes point to the less obvious—the city’s low-scale open spaces, as inspiring as those found in nature. Join FRIENDS for an illustrated lecture on places and landscape design, from 19th century cemeteries to the Upper East Side’s Conservatory Garden, with stops in-between. Morrone, rated one of the best tour guides in the world by Travel + Leisure magazine, provides an exciting insider’s look at New York’s outstanding and surprising urban oases. Co-sponsored by the New York City Department of Parks & Recreation, the Historic House Trust, and CIVITAS. Founded by John D. Rockefeller Sr. in 1901 as the first biomedical research center in America, Rockefeller University expanded its mission from public health concerns to include graduate education, becoming one of the foremost scientific institutions in the world. So too has the campus architecture evolved, from the neo-Classical forms of York & Sawyer to the Mid-century Modernism of Harrison & Abramovitz. The university continues to develop, with a proposal to cantilever a new building over the FDR Drive. Led by architectural historian John Kriskiewicz, the past, present, and future of this eminent Upper East Side institution will be revealed in this rare campus tour. While the storied thoroughfares of Central Park West and Fifth Avenue both flank Central Park, their history and character are worlds apart. Architectural historian Barry Lewis – host of a popular walking tour series on PBS – will examine how the distinct development of these iconic streets is reflected through their architectural forms and styles. Lewis’ comparative exploration will dissect the many eccentricities of the avenues, including Fifth Avenue’s opulent though short-lived Gilded Age mansions (many of which stood for less than 20 years) and the origin of the twin-towered apartment building that gives Central Park West its special skyline. Join FRIENDS in discovering the unique histories of these grand boulevards. Join FRIENDS for an exciting evening as we proudly honor Police Commissioner Raymond W. Kelly at our Tenth Annual Ambassador to the Upper East Side Award Dinner on Monday, September 30th. Commissioner Kelly the first person to hold the post for a second, separate tenure. also established a Real Time Crime Center, a state-of-the-art facility that uses data mining to search millions of computer records and put investigative leads into the hands of detectives in the field. Commissioner Kelly was formerly senior managing director of global corporate security at Bear Stearns. Before that, he served as commissioner of the U.S. Customs Service, where he managed the agency’s 20,000 employees and $20 billion in annual revenue. For his accomplishments at Customs, Commissioner Kelly was awarded the Alexander Hamilton Medal for Exceptional Service. department’s enforcement bureaus, including the U.S. Customs Service; the U.S. Secret Service; the Bureau of Alcohol, Tobacco and Firearms; and the Federal Law Enforcement Training Center. of the International Police Monitors in Haiti, a U.S.-led force responsible for ending human rights abuses and establishing an interim police force there. For this service, Commissioner Kelly was awarded the Exceptionally Meritorious Service Commendation by the president of the United States. A 43-year veteran of the NYPD, Commissioner Kelly served in 25 different commands in the department before being named Police Commissioner. A combat veteran of the Vietnam War, Commissioner Kelly retired as a colonel from the Marine Corps Reserves after 30 years of service. He holds a BBA from Manhattan College, a JD from St. John’s University School of Law, an LLM from New York University Graduate School of Law, and an MPA from the Kennedy School of Government at Harvard University. In addition to numerous honorary degrees, Commissioner Kelly was awarded the French government’s Légion d’Honneur decoration in 2006. $10 members, $15 non-membersDesigned to mimic the Adirondack Mountains and reflect the Hudson River School of painting, the leafy North Woods of Vaux and Olmsted’s Central Park enables visitors to escape from the bustling city. A rambling landscape including fallen trees that provide animal habitats, rustic fences and benches, and artfully-composed cascades all contribute to this woodland aesthetic. The tour will include a visit to The Blockhouse, the oldest structure in the park, erected during the War of 1812 as part of northern Manhattan’s defensive installations. David Karabell–Vice President of the Board of Directors at FRIENDS, lawyer, history enthusiast, and long-time Central Park Conservancy tour guide–will lead the group through this rarely visited section of Central Park. In celebration of the Upper East Side Historic District Extension, many of our dedicated members made a contribution toward twenty “terra cotta”-colored historic district street signs to replace the conventional green street signs at ten locations along Lexington Avenue. When you amble down the avenue next, look up — because the Department of Transportation has finally installed our signs demarcating the new boundaries! Please join Council Member Daniel Garodnick, Hon. Robert Tierney, Chair of the Landmarks Preservation Commission and Christina Davis, Chair of the Landmarks Preservation Foundation for the official unveiling. Refreshments generously provided by Swifty’s. Based on her architectural field survey for the Society for the Preservation of Long Island Antiquities, Caroline Rob Zaleski’s new illustrated book Long Island Modernism: 1930-1980 documents the proliferation and diversity of modern architecture on the island as it became suburban. Part architectural history, part social commentary, Zaleski’s talk will discuss the intriguing crosscurrents and networks of influence that fostered Modernism. Highlights will include forgotten works by internationally-renowned architects such as Frank Lloyd Wright, José Luis Sert, Edward Durell Stone, George Nelson, Ben Thompson, and Walter Gropius. In keeping with the Modernism theme, the lecture will be held at the Manhattan Church of Christ, a Brutalist-style building designed by Eggers & Higgins in 1967. This event is free and open to the public though space is limited. and Celtic with a dash of the Egyptian, the Persian, and the Japanese.” A fitting setting for FRIENDS to recognize the fine restoration, renovation, and advocacy work on the Upper East Side over the past year. Thursday, March 21st at 6:30 p.m.
Join FRIENDS for an “illuminating” lecture about the iconic neon signs of New York City, including many on the Upper East Side. As this significant element of the cityscape quickly disappears, Thomas E. Rinaldi–architectural designer and co-author of Hudson Valley Ruins–is working to catalogue and preserve them. In his recent publication, New York Neon, signs are identified by location, manufacturer, date of creation, and business purpose. Rinaldi’s illustrated lecture will explore the development and technological evolution of neon, examining its role in the streets of New York City, in the nation’s cultural identity, and in our collective consciousness. One of the city’s largest historic districts, this area contains some of the finest examples of urban residential architecture in America. Splendid townhouses, opulent mansions, and imposing apartment buildings are set among the institutions, clubs, and businesses that cater to this storied community. With such breathtaking architecture the neighborhood seems a natural candidate for a historic district, but its designation was fiercely debated. Join Anthony C. Wood, Frank Sanchis, and a special team from FRIENDS as we chronicle the long battle to designate this district, our continuing growth as a preservation advocacy organization, and our 30-year-old campaign to save the Upper East Side’s architectural legacy, livability, and sense of place. Following the opening of the Metropolitan Museum of Art in 1880, the adjacent area along Fifth Avenue quickly became New York City’s most fashionable neighborhood, where prominent families constructed magnificent residences. Astonishingly, many of these mansions were replaced by luxury apartment buildings only one generation later. Today, this sophisticated district displays a striking array of architectural styles from McKim, Mead & White Classicism to Philip Johnson Post-Modernism. Mosette Broderick—author and Director of the Urban Design & Architecture Studies Program and the Historical & Sustainable Architecture M.A. Program at NYU—will lead this tour of the neighborhood, as described in her new book which will chronicle the architecture of Fifth Avenue at the height of its importance a century ago. This tiny district consists of only seven row houses, all designed by Henry Hardenbergh, architect of the Plaza Hotel and the Dakota Apartments. The row was constructed in 1889 for William C. Rhinelander, a prominent real estate developer. The Rhinelanders emigrated from Germany in the late-17th century, prospered, and established a rich architectural legacy that expands beyond the district’s boundaries. Led by Franny Eberhart, Chair of the FRIENDS Preservation Committee, and Sarah O’Keefe, Education Director at FRIENDS, we will examine the architecture of the Rhinelanders and discover the surrounding neighborhood’s German roots, including “The Kaiser” and “The Rhine” (Lamb & Rich, 1886-7) and the site of Jacob Ruppert’s famed brewery. This charming district is a picturesque respite from the bustling city. Built in 1881-82 by developer John C. Henderson for “persons of moderate means,” the houses were all designed by the architectural firm of Lamb & Rich, talented interpreters of the Queen Anne style. The group of dwellings is located in Yorkville, which became the center of German, Hungarian, and Czech immigrant communities in the 19th and early-20th century. Franny Eberhart, Chair of the FRIENDS Preservation Committee, will join Sarah O’Keefe, Education Director at FRIENDS, to lead us on a journey through this charming historic district and the surrounding Yorkville neighborhood. As in our Yorkville Immigration children’s education program, we will become detectives seeking evidence of immigrant history through religious, commercial, and residential buildings. Designated only two years after the establishment of the Landmarks Preservation Commission in 1965, Treadwell Farm is one of New York City’s oldest historic districts. While most of the buildings are four-story row houses constructed in 1868-75, the district is appreciated today for the way it reveals the design aesthetic of the 1910-20s, when many of these buildings were simply and elegantly “modernized.” Leading the tour will be Andrew Dolkart, Director of Columbia University’s Historic Preservation Program and author of The Row House Reborn, which uses neighborhoods such as Treadwell Farm to explore the transformation of residential architecture during the early 20th century. Each year FRIENDS recognizes fine restoration, renovation, and advocacy work on the Upper East Side, both in and out of the historic districts. Great Houses of Havana: A Century of Cuban Style– SOLD OUT! Co-presented by the Americas Society. Join FRIENDS on a walking tour of five Upper East Side residences that eschew the architectural tradition of their neighborhood led by Theodore Prudon, President of Docomomo US and a leading expert on the preservation of modern architecture. Between the 1930s and the 1970s, several prominent architects pushed the boundaries of residential architecture by designing town houses characterized by bold architectural moves and innovative materials within the new International style vocabulary. Although quite radical for their time, the homes received a great deal of favorable attention when completed and are now viewed as outstanding examples of American architecture. Discover these masterpieces and gain a greater appreciation of how the modern town house has evolved within the landscape of New York City and the Upper East Side. Included on this tour are William Lescaze’s groundbreaking Kramer House (1934) and the Norman House (1940). Also discussed will be Edward Durell Stone’s own town house (1956), Paul Rudolph’s converted stable (1968) that was made infamous as the hyper elegant bachelor pad of Halston, as well as the proto-Postmodern private home (1976) designed by Robert A. M. Stern. Explore one of New York City’s largest green roofs with this special tour of Regis High School’s rooftop gardens. Tucked away above Regis’ stately, landmark designated façade, this mini-ecosystem includes native grasses, solar panels, an astronomical observatory, apiaries, and herb gardens that supply the school’s cafeteria. Joining us to discuss the design and the environmental benefits of the green roof will be the roof’s designer, Amy Norquist of Greensulate, and Father Philip G. Judge, S.J., president of Regis High School. After the tour, stay and enjoy the gardens during a short wine reception. Please join us as we proudly honor Richard Ravitch at our Eighth Annual Ambassador to the Upper East Side Award Dinner. Mr. Ravitch is a lawyer, public official and businessman with a long and distinguished career in both the public and private sector. In addition to serving as the Chairman and CEO of HRH Construction Corporation and Chairman and CEO of the Bowery Savings Bank, he has devoted over 40 years to public service, shaping a diverse range of urban policy from affordable housing to transportation infrastructure. He has served as Chairman of the New York State Urban Development Corporation, Chairman of the Metropolitan Transportation Authority, Chairman of the Charter Revision Commission of the City of New York, and Co-Chair of the Millennial Housing Commission. Most recently, he served as Lieutenant Governor of the State of New York. Mr. Ravitch is a long-time resident of the Upper East Side. Join FRIENDS for an exclusive tour of the Upper East Side from the waters of the East River aboard the aptly-named Lexington. With gleaming wooden handrails, teak decks and mahogany interiors, you could not ask for a more stylish or unique perspective of the Upper East Side. Francis Morrone, renowned architectural historian, will lead this special tour of the landmarks that line the river’s shore, including rarely seen views of the United Nations, Sutton Place, Rockefeller University, New York Hospital, the Queensboro Bridge, and Gracie Mansion. As the yacht circles Roosevelt Island, enjoy the sunset, socialize, and listen as the city’s history comes alive over cocktails, hors d’oeuvres, and a buffet dinner. Join FRIENDS for a unique journey through two of the most spectacular synagogues in New York City. This two-part tour begins on May 1st with a special behind-the-scenes look at the Eldridge Street Synagogue, one of the earliest surviving houses of worship erected by Eastern European Jews in the United States. Built in 1887, this exuberantly designed Moorish Revival building proudly declared the religious freedom and economic aspirations of a thriving immigrant community. This visit will explore the synagogue’s role as one of the epicenters of Jewish life on the Lower East Side, as well as the story of its award-winning architectural restoration. The journey continues on May 15th with a private tour of the Upper East Side’s Temple Emanu-El. Built in 1929, the temple is an elegant Art Deco masterpiece and the largest Jewish house of worship in the world. Designed by the era’s leading craftspeople, employing some of the world’s finest materials, the temple boasts shimmering Hildreth Meière mosaics which merge Jewish iconography with an Art Deco flair. The tour will lead us through the captivating history of the congregation’s rise to prominence from a humble space (mere blocks away from the Eldridge Street Synagogue), while also exploring the lavishly appointed interiors. Don’t miss this special opportunity to discover both of these beautiful buildings, and unearth the surprising details that tie their histories together! Thomas Jayne, a preeminent scholar and practitioner of interior design, will discuss his new book The Finest Rooms in America: 50 Influential Interiors from the 18th Century to the Present. With luxurious photographs and engaging writing, Jayne has captured a definitive record of the finest in American interiors, from the Tea Room at Jefferson’s Monticello to Albert Hadley’s modernist Upper East Side sitting room. In his lecture Mr. Jayne will present his favorite spaces, analyzing each room in their context and identifying the elements that contribute to the design’s visual success. Celebrate the one year anniversary of the Upper East Side Historic District Expansion with a walking tour of one of New York City’s great main streets! Franny Eberhart, Chair of the Preservation Committee at FRIENDS, will guide us through the new and improved district which now includes a delightful mix of quirky carriage houses, humble rowhouses, grand townhouses and stately apartment buildings. We will share Lexington Avenue’s fascinating history of development, as well as the triumphs and travails of this decade-long preservation battle. Come see what FRIENDS has fought so hard to protect! Please meet at the NE corner of E. 78th St. and Fifth Ave. Journey with us along New York City’s famed Museum Mile discovering that the history of a museum can be as intriguing as the art and artifacts that it contains. Led by museum educator EY Zipris, our walk will begin with an examination of the former James B. and Nanaline Duke House, currently the New York University Institute of the Fine Arts. We will then travel north to study the architecture of several museums on Fifth Avenue, including the Metropolitan Museum of Art, the Guggenheim Museum, the National Academy of Art, and the Neue Galerie New York. Along the way we will discuss the development of upper Manhattan during the Gilded Age and the various ways that Central Park has mirrored urban movement and change since its creation. Walking A Line: Public or Private Space? This walking tour will examine the give and take relationship between public and private space and how it has shaped our city. Many elements of New York City were built for public means but were later sold for private use. Concurrently, several private gems were built for few to enjoy but are now accessible to and admired by all. Led by architect and designer Katherine Schiavone, the tour will begin at the New York Public Library’s Webster branch and visit the East River Houses, now called Cherokee Apartments, which were designed in 1909 for families stricken with tuberculosis. We will also explore Carl Schurz Park and discuss the many lives of Gracie Mansion, which was built in 1799 as a private country home for the prosperous merchant Archibald Gracie. Sunday, April 25th, 2:00-4:00 p.m. Journey with us along New York City’s famed Museum Mile. The history of a museum can be as intriguing as the art and artifacts that it contains. Led by museum educator EY Zipris, our walk will begin with an examination of the “pearl of mansions” at the Frick Collection. We will then travel north to study the architecture of several museums on Fifth Avenue. Along the way, we will discuss the development of upper Manhattan during the Gilded Age and the various ways that Central Park has mirrored urban movement and change since its creation. Celebrate with FRIENDS at our 27th Annual Awards Ceremony! We are pleased to hold our Twenty-seventh Annual Meeting and Awards Ceremony in the stunning ballroom at Bohemian National Hall. Built in 1896, this Renaissance Revival building is a rare survivor of social halls built in the late nineteenth century for New York City’s burgeoning immigrant population. This magnificent building received our Renaissance Award in 2009. Each year, FRIENDS recognized fine restoration, renovation, and advocacy work on the Upper East Side, both in and out of the historic districts. Please join FRIENDS and our awardees for this wonderful event and a reception following the ceremony. How is New York City at the forefront of environmental design efforts? Architect Jean Parker Phifer, who recently published Public Art New York and teaches environmental design at NYU, will discuss what makes New York one of the most sustainable cities in the country and the challenges we face moving forward. This talk will explore urban infrastructure, historic buildings and recent LEED rated designs, as well as examine the integration of greenery and art into sustainable public space. Books will be available for purchase and signing. Click to read more about the book: Public Art New York. Books will be available for purchase and signing. Thursday, December 3rd at 6:30 p.m.
Thursday, November 5th at 6:30 p.m. Book signing to follow. In collaboration with the Cooper-Hewitt National Design Museum, FRIENDS invites you to an evening with Ingrid Abramovitch, author of Restoring a House in the City, a new book about renovating and decorating townhouses and brownstones. Abramovitch, a former editor at House & Garden who writes widely on design and architecture for magazines including Elle Décor, will give a slide presentation with a selection of photographs of the 21 houses in the book, including the New York City homes of actress Julianne Moore and Marc Jacobs’ president Robert Duffy. She will also offer ideas and advice for renovating or decorating any older apartment or home. Tuesday, October 20th at 6:30 p.m. Wine reception to follow. Andrew Dolkart, FRIENDS Board Member and Director of the Historic Preservation Program at Columbia University will discuss his new book, The Row House Reborn: Architecture and Neighborhoods in New York City 1908-1929. This book is a pioneering investigation of the redesign of obsolete and deteriorated row houses in the early years of the twentieth century. Special attention is paid to the redesign of old houses located on the Upper East Side, east of Lexington Avenue, where architects and wealthy clients completely transformed a deteriorated neighborhood into one acceptable to the city’s social elite. Many houses have recently been altered or demolished so the preservation of those that survive is a key goal of this study. A wine reception and book signing will follow this lecture. Rhinelander Riches Walking Tour- This Tour is Sold Out! Back by popular demand! Join Board Member Franny Eberhart as she shares her extensive knowledge about the Rhinelander Family on a walk in Yorkville. Germans, Hungarians, Czechs, Slovaks, Poles, Irish, and Jewish Europeans all settled in Yorkville in the late 19th century and early 20th centuries. One of the earliest immigrant families from Europe, the Rhinelanders immigrated to New York in the late 17th century to escape religious persecution. They prospered in their new country and eventually created a rich architectural legacy in this new immigrant neighborhood. The tour will begin in the Hardenbergh/Rhinelander Historic District and conclude at the Church of the Holy Trinity. Please join us as we honor Amanda M. Burden, Chair of the New York City Planning Commission and Director of the Department of City Planning. Since her appointment by Mayor Bloomberg in 2002, Ms. Burden has spearheaded the largest planning effort in the city since 1961, setting the stage for sustainable development, reclaiming New York’s waterfront, designing new parkland and public spaces such as the High Line, and promoting great architecture and urban design in all five boroughs. Saturday, May 16, 2009 at 11 a.m.
Wednesday, June 3, 2009 at 12:30 p.m. Please meet at the southwest corner of Lexington Ave. and East 76th St. Walk with FRIENDS to discover the priceless and endangered architectural treasures of Lexington Avenue on the Upper East Side. Highlights include 19th century rowhouses, stately apartment buildings, charming turn-of-the-century stables and the legendary Barbizon Hotel for Women. FRIENDS continues to advocate for the historic designation of this cherished and vulnerable neighborhood to protect these low-scale and historic blocks from inappropriate and out-of-scale development. Please meet at the northwest corner of 80th St. and 3rd Ave. Spend a morning on Mother’s Day weekend with your family and FRIENDS as we discover how buildings can talk! How old are they? What are they used for? What are they made of? This fun walking tour will explore a few beautiful blocks and teach basic architectural vocabulary to all ages. We will briefly share some Upper East Side history, and then we will set off on a scavenger hunt for lintels, cornices, gargoyles and more. This walking tour is ideal for ages 7-10, but younger siblings are welcome. Children must be accompanied by an adult. Please meet at the northwest corner of East 88th St. and Lexington Ave.
FRIENDS invites you to explore Immigrant Heritage Week in Yorkville. Germans, Hungarians, Czechs, Slovaks, Poles, Irish and Jewish Europeans all settled in Yorkville in the late 19th and early 20thcenturies. One of the earliest immigrant families from Europe, the Rhinelander family, immigrated to New York in the late 17thcentury to escape religious persecution. They prospered in their new country, and eventually created a rich architectural legacy in this new immigrant neighborhood. The tour will begin in the Hardenbergh/Rhinelander Historic District and conclude at the Church of the Holy Trinity. This tour is free in honor of Mayor Bloomberg’s Immigrant Heritage Week; reservations are required. We invite our most generous members to join us for a behind the scenes look at the magnificent Seventh Regiment Armory. This unforgettable evening will include a tour of the stunning interiors and a talk by renowned author and architect, Samuel White, who architecture firm, Platt Byard Dovell White, is currently performing an extensive restoration of this historic building. Mr. White, a great-grandson of Stanford White, will share his great grandfather’s storied connection to the Armory and discuss his new book, Stanford White, Architect. Best Friend Membership level required. To inquire about Best Friend Membership, please contact our office at 212-535-2526. Celebrate with FRIENDS at our 26th Annual Meeting and Awards Ceremony! The ARCHI-TEACHER AWARDwill be presented by Council Member Daniel Garodnick to Paula Rogovin, a first-grade teacher at Public School 290. Ms. Rogovin is being honored as an early supporter of our YOUNG FRIENDS education program and for her passion and dedication to teaching children about architecture and the built environment. The CRAFTSMAN AWARDwill be presented to Elaine Weitzen, longtime owner and curator of the Parge House at 866 Lexington Avenue. Ms. Weitzenwill receive the award along with the craftsman who is working to restore this treasured New York City home located within the proposed expansion of the Upper East Side Historic District. The RENAISSANCE AWARD will be presented to the Ministry of Foreign Affairs of the Czech Republic and the architecture team behind the renovations of Bohemian National Hall at 321 East 73rd Street. This international group is being recognized for the impressive contemporary renovation of this storied building’s interiors and its rebirth as a neighborhood cultural center. The EXTRA-MILE AWARDwill be presented to the owners andcraftsmen behind the terra-cotta restoration and replacement of balconies and details at 525 Park Avenue, an undesignated neo-Renaissance style apartment house. The RESTORATION AWARDwill be presented to the architecture team and owners of 162 East 70th Street for their vision in restoring a badly altered Italianate rowhouse into a meticulously restored 19th-century brownstone, with no detail left unfinished. New York City’s historic districts and individual landmarks create an ambiance engaging to the tourist and vital to economic development. Incredibly, New York City has only one World Heritage Site, the Statue of Liberty. Tourism and the economic benefits of preservation were specifically cited in upholding the New York City Landmarks Law in the 1978 Grand Central Supreme Court decision. This presentation by architectural conservator Mary Kay Judy will discuss how the New York City Landmarks Law and UNESCO World Heritage Listing compare internationally. Please join us for an evening filled with discovery as author and photographer Chester Burger regales us with hidden tales that lie all around us in New York City’s architecture. Mr. Burger, a native New Yorker, will share stories from his recent book, Unexpected New York- 87 Discoveries in Familiar Places. Copies will be available for purchase and signing. The Fifth Annual “Ambassador” to the Upper East Side Award Dinner honoring Liz Smith, Monday, September 22, 2008. Tuesday March 18, 2008, 6:00 p.m. Architect and Author. Wednesday, September 26, 2007. Friends of the Upper East Side Historic Districts, together with a coalition of over 30 preservation groups, is seeking a $1 million increase to the LPC’s FY 2008 budget. This would allow the LPC to restore staffing to its 1991 level and to effectively protect New York ‘s valuable historic buildings and neighborhoods. The Third Annual “Ambassador” to the Upper East Side Award to Emily K. Rafferty, President, The Metropolitan Museum of Art. Tuesday, September 26, 2006. FRIENDS co-sponsors City Council Districts 5 and 6 Debates.